Trusted Regina welcomes it newest Trusted Partner Regina Battery Depot to the directory! The Trusted Regina community are proud to welcome our newest Regina partner on the Trusted Regina directory Regina Battery Depot is your Trusted Regina battery store! You may know their sign but we want you to know how excellent it is inside this long-standing Regina battery business. Regina Battery Depot is your Trusted Regina Battery Expert! You will find them listed under the Regina specialty retail category on the TrustedRegina directory or you can simply use our simple search tool and search ' BATTERY'. Why did we put them under specialty retail? Because they sell so much more than just Automotive batteries! After four decades of energizing the rapidly evolving world of electronics, one thing has always stayed the same about the Regina Battery Depot: they are able to provide almost any type of battery a customer can imagine; from automotive to commercial, from hearing aids to digital cameras, from alkaline to rechargeable, they carry a battery for virtually anything. If they do not carry the battery, or they can’t rebuild it, they will do their best to source it for their customer. When putting them through the Trusted Regina verification process we quickly found out how great their service is. We personally telephone survey many of the applicant's past customers and in this case, every one of the people we spoke to gave them 10/10!! "Their Customer Service is outstanding will be a customer for a long time" Gary Winslow. The Regina Battery Depot has literally decades of helping the people of Regina and surrounding area! Originally opened in March of 1971 in a small shop on Winnipeg Street. The business has remained on Winnipeg Street since then, but not always in the same location. In 1974 they moved down the block and in 1991, they moved again to their current location, right across the street. To find out more about them and their products check them out Regina Battery Depot is your Trusted Regina Battery Expert! Can synthetic oil be used in older vehicles? Using synthetic oil in an older vehicle is not a problem. If the vehicle is in good running condition with minimal leaks, running a synthetic oil will not harm anything at all. You will enjoy all the benefits that a full synthetic oil has to offer. Read on to find out more about why people are hesitant to change to full synthetic and how to go about it. Why do people think synthetic oil should be used in older vehicles? There are some misconceptions out there that lead people to believe that problems may develop when changing from a conventional oil to a full synthetic oil in an older vehicle. The confusion starts with the idea that synthetic oil is more slippery (lower in viscosity) than conventional oil. This further leads to the concern that synthetic oil is not as compatible with seals and will therefore leak (or leak more) in places conventional oil might not. These ideas are unfounded. The truth is that synthetic oils will enhance the engine protection in older vehicles just as they do for new engines. In addition, most synthetic motor oils are fully compatible with modern seal materials. Most synthetic oils are formulated to condition seals, keeping them pliable to prevent leakage. Another common misconception is that changing to a full synthetic oil will clean and loosen sludge from the engine and cause it to plug the filter and passageways. This too, is false. Switching from conventional oil to full synthetic oil in routinely maintained vehicles will not cause clogged oil filters or passageways, regardless of how many kilometres are on the vehicle. Sludge, which is caused by poor quality oil and neglected maintenance practices, would have to be present in significant amounts to plug oil filters and passageways. If this excessive amount of sludge is present in an engine, it is just a matter of time before oil filters and passageways clog, regardless of the installation of synthetics. Regardless of the type of oil you put in your vehicle, it is important to take care of your vehicle by ensuring it gets routine maintenance. How do I switch from conventional oil to synthetic oil? here are no special procedures for changing from conventional oil to full synthetic oil. As a precaution in older vehicles or those with high mileage, it may be advisable to perform an engine flush first. This will ensure that the engine is clean and free of any accumulated contaminants which might have an effect on the service life of synthetic motor oils. You may also choose to use a high mileage oil which will have added seal conditioners to combat against engine leaks and friction issues with the motor. However, both of these suggestions are optional and completely at your discretion. Many vehicles have no problem simply switching to a synthetic oil. 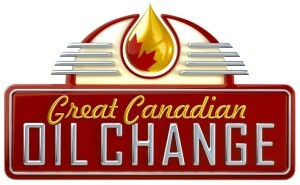 How can Great Canadian Oil Change help? At Great Canadian Oil Change we follow the manufacturer’s recommendation on types of oils and recommended service intervals for your vehicle, regardless of whether you choose to use conventional, a synthetic blend, or a full synthetic. The choice is always yours! The technicians will answer any questions you have, backed by up-to-date information about your type of vehicle. We offer high milage oil and engine flushes if this is what you choose when you are making the switch from conventional to synthetic oil in a vehicle with a significant number of kilometres on it. Happy and safe driving from the Great Canadian Oil Change Team! 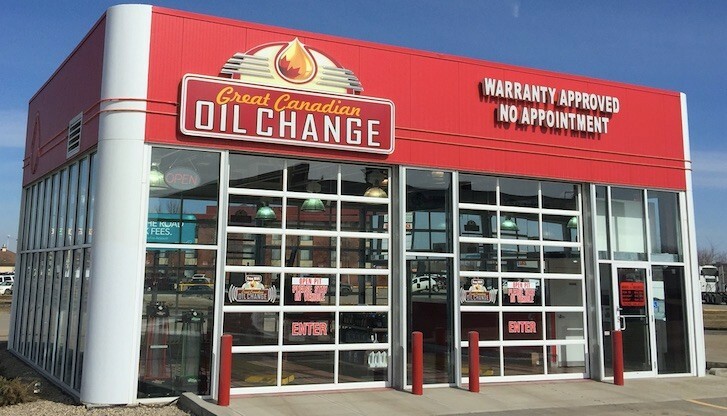 Great Canadian Oil Change on Quance Street, and North Albert Street Regina deserve the Thumbs up from www.trustedregina.com in our Regina Automotive General Category and they are Regina's Trusted oil change experts! To read more Great Canadian Oil Change tips and articles click here! How often do I need my oil changed? If you ask three shops how often you should change your oil you may get six different answers. But we feel confident with our recommendation. We recommend to our customers that they follow their manufacturer’s recommended oil change intervals. This means that the manufacturer will recommend that you have your oil changed after every so many kilometres. Depending on your specific vehicle, this may mean having your oil changed every 5000 km, 7500 km, 12000 km or some variation thereof. What are some exceptions to following the service interval recommendations of the manufacturer? Short trips in the winter, where the engine fails to meet operating temperature for ten minutes or more, are tough on oil. All of that condensation has no place to go but into the crankcase. These two scenarios justify changing oil before the recommended service interval.